Description Use white sidewalk chalk to color in pavement marking stencil and set with hair spray for best result. Typical Dimensions At least 10 chalk sticks per pavement marking. Estimated Cost $20 for a 72 pack. All Projects Where white pavement markings are needed but fast removal is a requirement, consider using sidewalk chalk with hairspray. 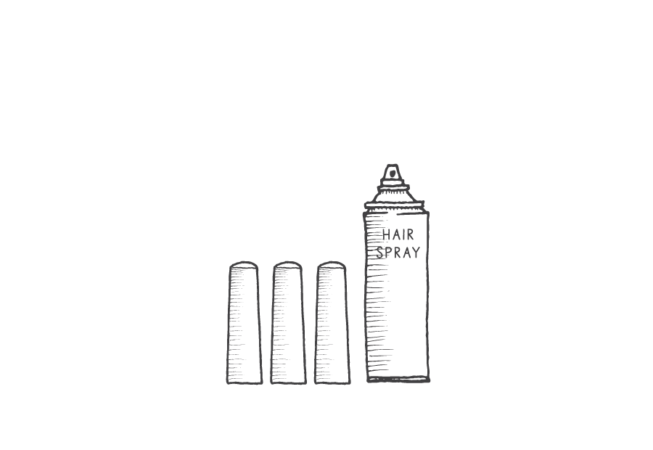 This technique often involves using a stencil to guide application, applying as heavily as possible, and then using hair spray to "set" the chalked area. Appropriate for very short-term projects. Use large railroad chalk sticks -- thin chalk sticks will not hold up to heavy drawing for road markings. 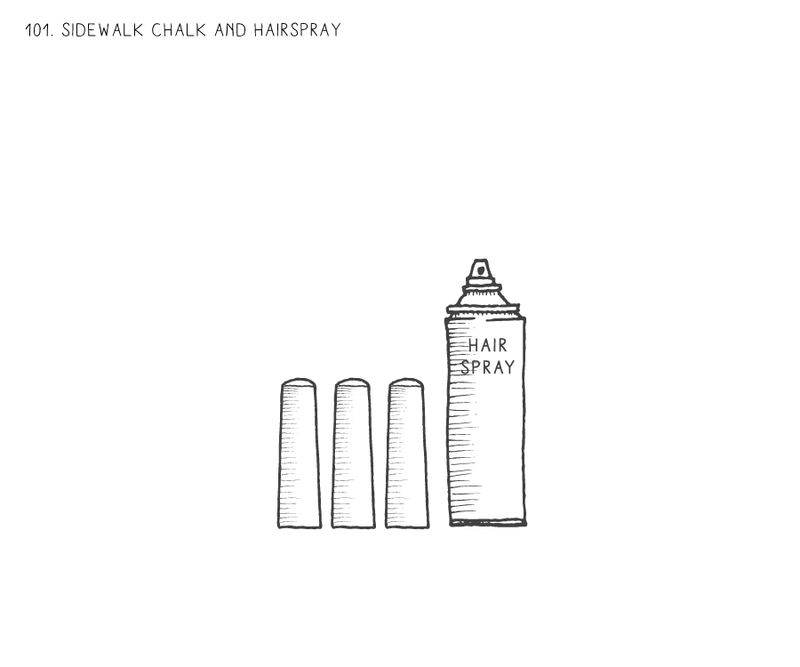 Once chalk drawing is complete, fan the area to remove as much chalk dust as possible before applying hair spray. Not an ideal approach to large areas, but works well for sharrows or a handful of bike lane markings. With many hands, you can quickly color in your designs, set the chalk, and enjoy! Buy from local supermarket, hardware, or art supply store. Use a handmade or borrowed stencil to guide chalk application.